And We Need You, a Provider. A PROVIDER is someone who wants to use their shovel or snow blower and clean residential driveways for us. To be a Provider you will need a few things. The main things are a Car and a Shovel, or a Snow Blower and a way to move it around. You will also need a GPS, a phone capable of texting photos, a valid driver license and insurance on your vehicle. Lastly, you need to be physically fit to do this kind of work. Snow Blower or Snow Shovel? 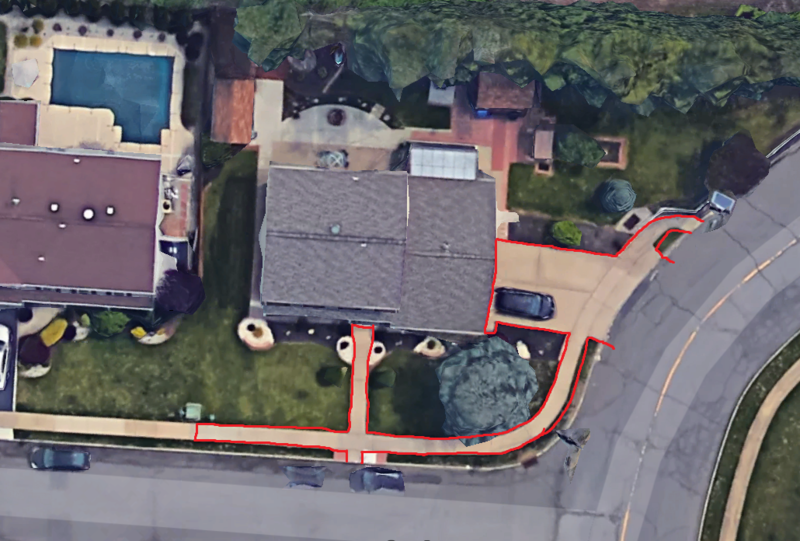 In the Spring, Summer and Fall Kleen Seal, LLC ( www.kleenseal.com ) is a residential driveway sealing company with over 17,000 current or past clients located in Middlesex, Union, and Somerset Counties NJ. In Winter, we become a full service snow removal company. JustShovelMySnow.com, our residential division, is where we need your help. When it snows, our phone and website pretty much bursts into flames and we cannot do all of the work… That is why we built this…. So Here is How it Works…. Once you are registered as a Provider for us, we need to wait for the snow. This is the hardest part…. One more thing… If you only want to work some snow storms and not others, that is OK. We have set it up so you work only if you want to… Obviously that is when there’s snow, but, we will notify you that we are working and have driveways to clear. You simply check in if you want to do it, and ignore it if you do not. How We Calculate the Payment for Each Job You Do…. Customers ask us for estimates. We then look their house up on Google earth and do a quick measurement with online tools. Then, generate a price for them based on 2 things – SQUARE FOOTAGE of their job and the approximate DEPTH OF SNOW. 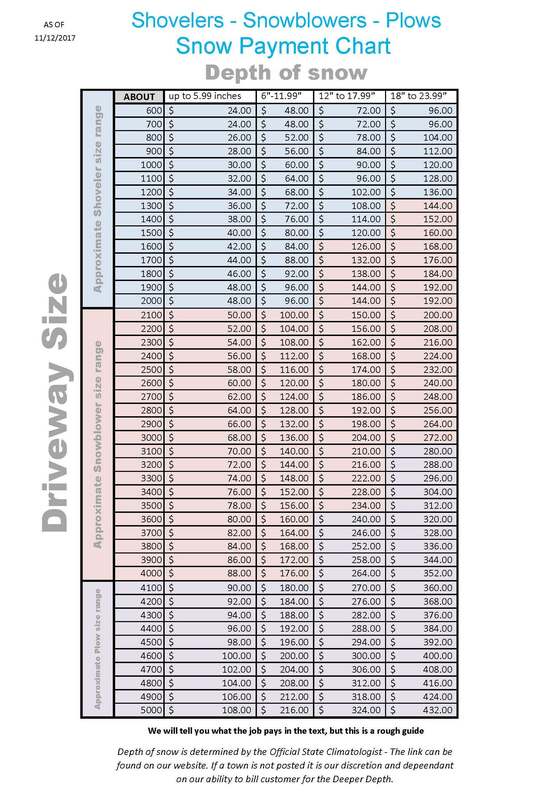 The following chart is a rough guide of how we will pay you. It is only a ROUGH GUIDE, everything is based on estimates and not us actually looking at the job in person with tape measures. Remember, the text we send you will always include the approximate square footage and what that job is currently paying. Most of our jobs average between 1000 and 2000 square feet…. What Needs to be Done at Each House…. You will need to shovel the driveway and entrance from corner to corner and edge to edge. If there are any cars in the driveway, you will have to shovel around them. We do not want you to clean any cars off because we do not want to be blamed for any scratches or damage. You will also shovel the front walkway to the front doors. In addition, shovel any steps and porches to the front doors – edge to edge. Also, if there are any doors or steps touching the driveway, you will have to shovel those as well. Some houses have city sidewalks along the street. These always need to be cleared. 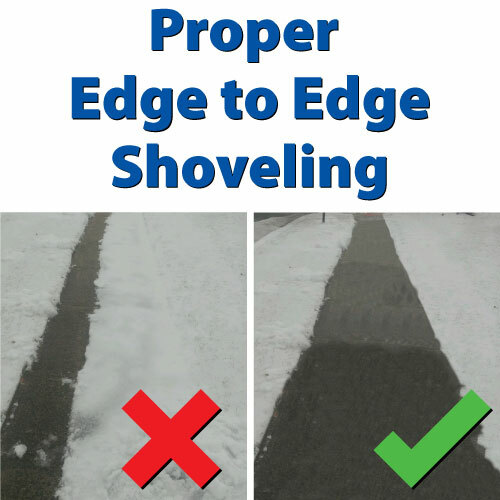 You will need to shovel all sidewalks along the roadway from property line to property line – edge to edge. Always be aware that corner properties may have a sidewalk along the side street, this will need to be done as well. “Edge to edge” means not just a path, or one or two shovel widths wide, from one edge to the other. After you have done this, you are done…. Go to the next one and repeat! During the snowstorm, we will text you on the cell phone number that you provide us with an approximate start time for you to text in that you are ready for a driveway to do. 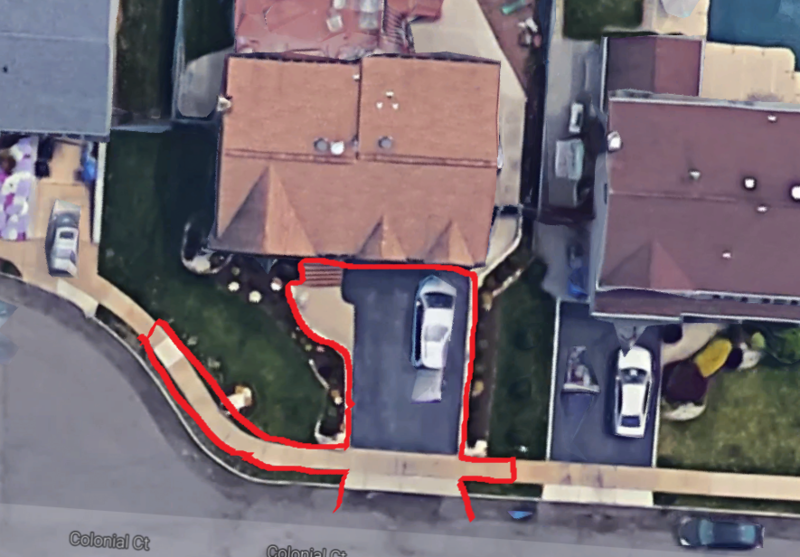 If you reply or replied that you are ready for a driveway, we will generate a job for you to do based on your location. We will always try to give you a location within 15 minutes of your location. We will then text you a location (a house) and a dollar amount to do the job. It will look like this. You then need to make a decision, accept or decline the job based on the information in the text. Next, If you accept it, you will drive to the house, see it, and decide whether you will accept or decline after seeing the job. If you accept it, you will do the job…. If you decline, you will be offered another job, if one is available. Before you start shoveling, you will need to snap a “Before Picture” of the job and text it to us. This is so we can check you into the job, and we know you are there. You will then shovel the driveway, sidewalks, and steps, as well as any special instructions in the text. Next, you will need to snap an “After Picture” and text it to us. This is so we can check you out of that job in our computer system, and we can see that it is done. Finally, you let us know whether you want another job or not. We will text you another location and the process will repeat. You choose how many jobs you want do. 1 or 20, it is up to you, or until we run out of jobs. to be cleared when you shovel a house for us…. A sample of a text conversation ~ Easy. Easy. All the Jobs are Done…. Getting Paid! After all the jobs are done, our office staff needs to wrap everything up. This entails organizing all the work that was done, including calculating and writing your check. This will be completed between the 2nd day and the 5th day from when you worked. YOU WILL HAVE YOUR CHECK WITHIN 5 DAYS OF YOU WORKING. Meaning, if you worked on a Monday, you will have your check on or before Saturday. You can come pick it up in Somerset, 08873. Or, we can mail it to you at the address you give us when you fill in the form below. So, Choose the path below that fits you and lets go! Have a Car and a Snow Shovel? Come Join our Team! Have a Plow and a Snow Blower or Snow Shovel? Have a Vehicle and a Snow Blower? Come Join our Team!